I'm often asked what plants make the easiest to grow plants for the office. While there are many choices, here are a few of my reliable choices, and ones you'll find around the office here at Halleck Hort. 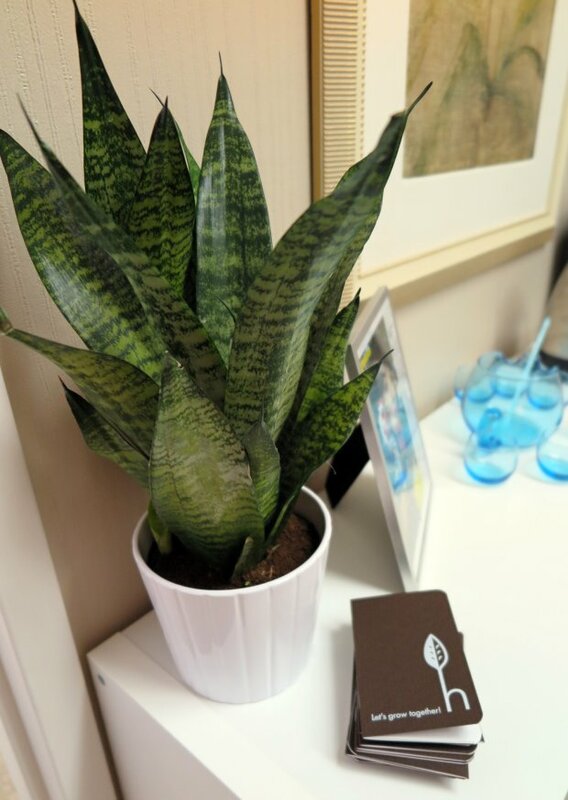 Sansevieria, also known as Mother-in-law's tongue, is just about the toughest indoor plant your can keep. Are you a forgetful waterer? This plant is your soul mate. Moderate to low light and an occasional watering is all this baby needs. Zamioculcas zamiifolia, or ZZ plant for short, is another tough resilient indoor performer. It too will weather your neglect. Needs low to moderate light and a good soaking now and then. 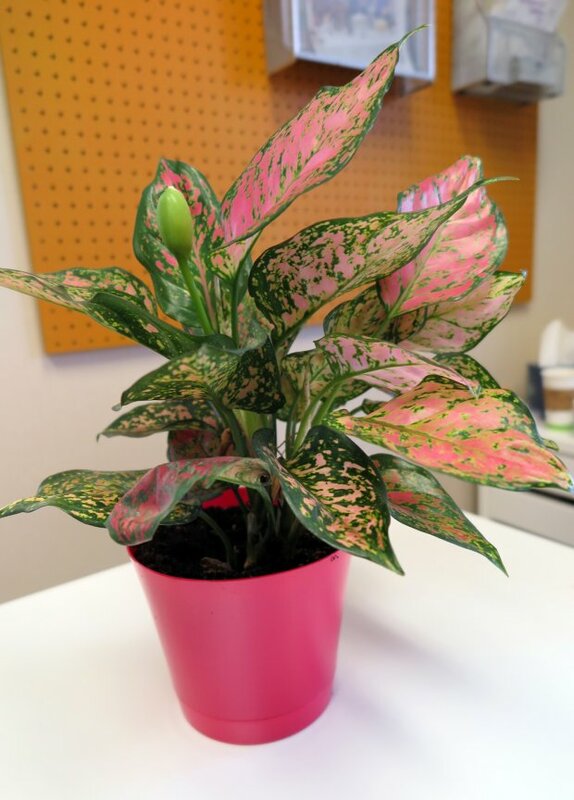 Aglaonema, also called Chinese Evergreen, are another popluar and forgiving office plant. In the last couple of years new colors have emerged including this one called simply "RED". (Nikki likes pink, so this is obviously her plant.) Again, low to moderate light is just fine with a thorough watering now and then. 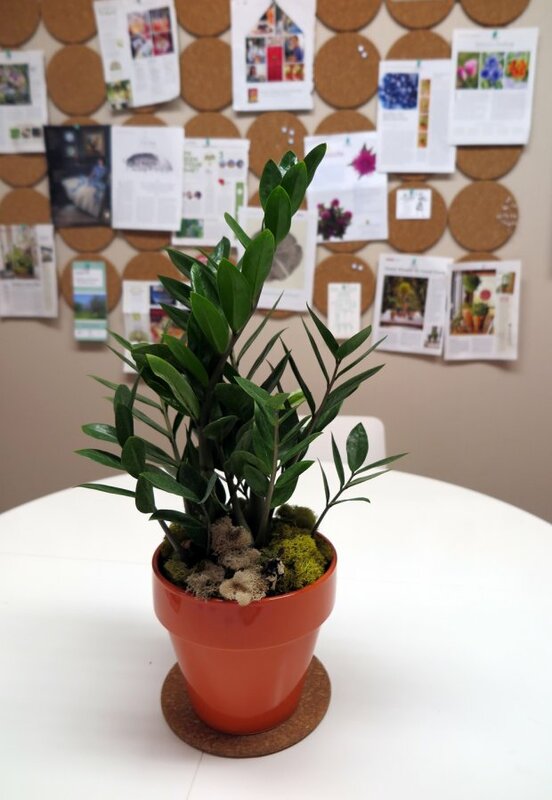 All of these plants can take typical low-light office situations and don't mind drying out before they need water. So while you're focused on your TPS reports, these beauties will keep performing 9 to 5.